Fishing in the South Island of New Zealand by Peter Shutt. Size: 210mm x 145mm. Colour and black and white photographs. 160 pages. Soft cover. 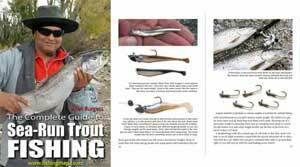 This is one of the best freshwater fishing books ever written by a New Zealand angler. I live and fish in the South Island of New Zealand and as such are just a little bit biased. However, this book deserves recognition for its accuracy and general usefulness to the travelling angler. No less than 206 fishing waters are covered, including all the major lakes, rivers and streams. There is plenty of information of interest to the salmon angler as well those who seek browns and rainbows. Peter has given his thoughts on the best flies and spinners to use in different places. He also covers some interesting facts about each water that must have been the result of considerable research. There is also a break down of bag limits and fish sizes together with season lengths and so on. This information is now obsolete so disregard it or you will be in serious trouble with the Fish & Game ranger! Over the years I have fished many of the locations covered by Peter Shutt with varying degrees of success. I have always found it interesting to compare my own observations with those of the author. Perhaps one difference is Peter’s absence of Tillin’s Cobras and Tassie Devils as spinner baits in preference to old hardware like black Tobys and Zed spinners when chasing brown and rainbow trout – not to mention the absence of modern soft plastics! If you like; metal giving way to plastic! However, the old tackle still works just as well and I whole-heartedly support Peter’s views. I have long since lost count of how many trout I have taken on a black and gold Toby spinner – or should that be a spoon? Peter Shutt is one of South Island’s best known and respected angling personalities. He is a professional fishing guide, angling columnist, has been chairman of the South Canterbury Acclimatisation Society, had a radio show, and for many years operated a leading sporting goods store in Timaru. For many years Peter has been a regular writer for New Zealand Fishing News. Peter’s book has been reprinted many times, but perhaps my greatest recommendation is that my own copy is very tatty and falling apart, a testament to the countless times I have pawed through its pages. I recently discovered a 1987 edition, in mint condition, in a second-hand store. I purchased it for just NZ$4.00. An absolute bargain for sure! 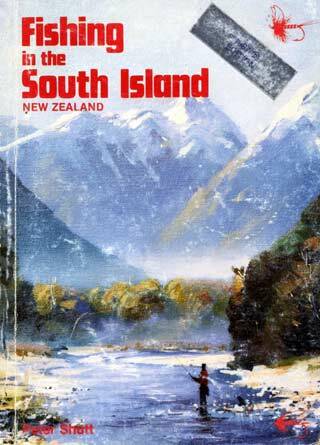 There is nothing better than sitting in my campervan, after dinner, turning over the pages of Fishing in the South Island New Zealand by Peter Shutt. Interrupted only by the odd leisurely poke through my fly boxes to see if I have that fly or spinner Peter suggests might be a good one for the morning!